On Sale Now! Save 3% on the Minnie Mouse Happy Helpers Fold N Go Chair by Minnie Mouse at Indsight. MPN: 42091. Hurry! Limited time offer. Offer valid only while supplies last. 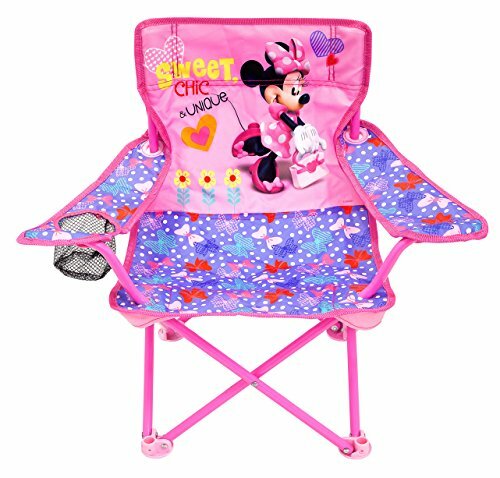 Minnie Mouse happy helper fold N go chair has colorful character graphics and it is great for indoors or outdoors. Sturdy metal tubular construction.